Green Diamond Resource Company planning clearcut logging operation in upper portion of Little River watershed. THP 1-13-032 HUM (CR3550 14 THP) Green Diamond Resource Company, 49 acres; 89% clearcut, 8% selection, 3% no-harvest logging. Lower South Fork, Headwaters Little River (HUM: T7N R2E Sec.10). Wet weather operations, moderate erosion hazard, steep slopes up to 65%, oversized units, coho watershed, herbicides, 2 spotted owls within 1.3mi, scattered large trees. Estimated public comment deadline: 05/28/13. This THP is about 10 miles NE of Arcata, CA in the upper portion of the Little River watershed at an elevation of 290 - 3380 feet. 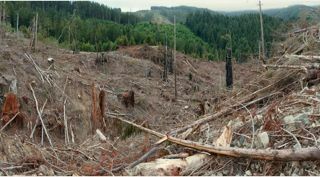 Green Diamond Resource Company is planning a feller buncher, shovel and cable logging clearcut operation in 60 year old second growth redwood and Douglas fir forests. There is a .25 acre steep streamside slope in Unit A which exceeds 65% grade, and some oversized units. Green Diamond Resource Company owns over 94% of the watershed which is not open to the public and has been heavily clearcut in the past. The THP area flows into the Little River which drains into the Pacific Ocean and is an important coho, Chinook salmon, steelhead, and coastal cutthroat trout fishery. More information is available on the THP Tracking Center website. THP 2-13-018 TEH (Berry THP) Crane Mills, 865 acres; 50% sanitation salvage, 50% shelterwood logging. Cold Spring Creek, Henderson Canyon, Lower Fish Creek (MD: T24N R8W Sec.6, 7, 17, 18; T24N R9W Sec.1, 11, 12). Winter operations, extreme erosion hazard, landslide terrain, road failure sites, steep slopes over 70%, herbicides, Chinook watershed, 7 spotted owls within 1.3mi, Sonoma manzanita, scattered large trees. Estimated public comment deadline: 05/29/13. NOTE: This THP was originally submitted as THP 2-13-013 TEH, then WITHDRAWN and re-submitted as THP 2-13-018 TEH. 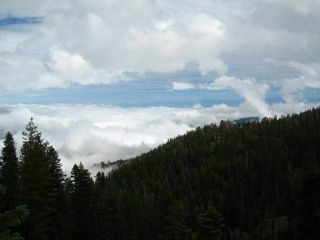 This THP is about 15 miles NW of Paskenta, CA near the Thomes Creek drainage and the Yolla Bolly Middle Eel Wilderness Area at an elevation of 3800 - 5680 feet in mixed conifer stands. Crane Mills is planning a tractor and cable logging operation with a blend of sanitation salvage and shelterwood removal to remove trees with dwarf mistletoe and some larger over story trees. This THP is similar in design to the recently released Crane Mills Croney Creek 2 THP just to the NE. There are 3 areas where tractors will be used in unstable areas, including one unstable area with slopes exceeding 65%. Many of the unstable areas are related to steep slopes above the Berry Creek drainage. Crane Mills is planning to use roads and landings in unstable areas, and use some tractor roads and landings in streamside areas. They are also considering log hauling during the winter time. More information is available on the THP Tracking Center website. THP 1-13-027 SCR (Comstock Mill THP) Soquel State Forest, 240 acres; 80% selection, 10% fuel break, 10% hardwood removal, misc roadside logging. Soquel Creek (MD: T10S R1W Sec.2, 11, 12). Wet weather operations, high erosion hazard, steep slopes up to 80%, landslide terrain, road failure sites, 59 road drainage work sites, coho watershed, western pond turtle within 1.5 mi, scattered old growth redwoods. Estimated public comment deadline: 05/24/13. This THP is about 3 miles NE of the town of Scotts Valley near Santa Cruz and Highway 17 at an elevation of 600 - 1,400 feet. Cal State Forest Soquel is planning a tractor selection logging operation amongst second and third growth redwood, with some Douglas fir adjacent to the Forest of the Nisene Marks State Park. There are 11 unstable areas including debris slides, steep headwall swales outside of THP units, and 59 road drainage work sites including ditch repair, rocking, dip construction and culvert repair/replacement. 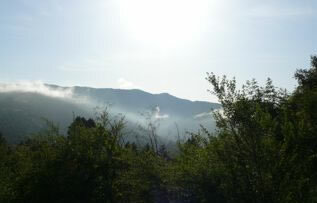 25 acres of Alternative Prescription are planned to remove excess brush and hardwoods, and to re-plant with conifers. 2 skid trails are planned on slopes over 50% with a high erosion hazard rating. More information is available on the THP Tracking Center website. 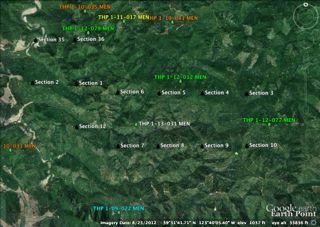 THP 1-13-025-HUM (CR2230 - CR3125 THP) Green Diamond Resource Company, 61 acres; 67% clearcut, 25% selection, 7% no-harvest, 1% roadside logging. Lower South Fork (HUM: T7N R1E Sec.12, 13; T7N R2E Sec.18, 19). Wet weather operations, moderate erosion hazard, landslide terrain, steep slopes up to 70%, steep roads, coho watershed, herbicides, 5 spotted owls within 1.3mi, historic peregrine falcon erie, osprey sightings, trees up to 24” dbh. Estimated public comment deadline: 05/12/13. This THP is about 9.6 miles SE of Trinidad, CA in the Lower South Fork Little River watershed, and contains Redwood, Douglas fir and a minor component of hemlock. Green Diamond Resource Company owns over 80% of the watershed which drains into the Little River and Pacific Ocean, and is planning a mostly clearcut feller bucher, cable and shovel logging operation. 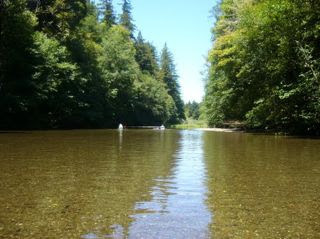 Unit A is adjacent to the Lower South Fork Little River, which is an important fishery for Coho salmon, Chinook salmon, steelhead and coastal cutthroat trout. Units A & B contain steep streamside slopes, and there are numerous small, short landslide features mostly related to stream banks in the THP area. Ground based equipment is proposed to be used in areas designated for cable logging to construct fire lines and tail holds, and 2 short segments of steep road are proposed on grades exceeding 20%. The THP area also contains a historic Peregrine Falcon erie site, and some unique rock outcroppings. There are Northern spotted owls within .25 mi of Unit A. More information is available on the THP Tracking Center website. 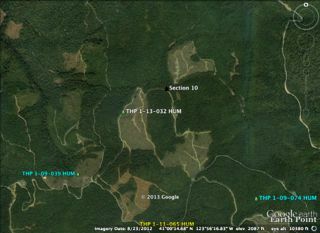 THP 1-13-024 HUM (BL 2200 14 THP) Green Diamond Resource Company, 108 acres; 81% clearcut, 11% selection, 7% no-harvest logging. Maple Creek (HUM: T8N R1E Sec.3, 4, 5; T9N R1E Sec.32). Wet weather operations, moderate erosion hazard, landslide terrain, road failure sites, steep slopes up to 80%, coho watershed, herbicides, 7 spotted owls within 1.3mi, osprey nest within .25 mi of unit A & C, bald eagle within .6mi, running pine, trees up to 48” dbh. Estimated public comment deadline: 05/12/13. 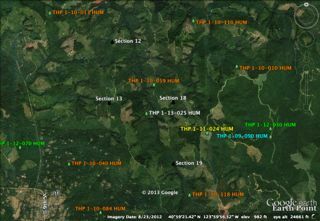 This THP is about 5 miles NE of Trinidad, CA in the upper reaches of Maple Creek at an elevation of 280 - 1,120 feet. Green Diamond Resource Company is planning a mostly clearcut tractor, feller buncher, cable, and shovel logging operation amongst second growth redwood, Sitka spruce, Douglas fir, Grand fir and red alder. The THP area contains steep unstable slopes including 8 landslide features (shallow, dormant and debris slides) in Unit B, landslide terrain in units B & C, a steep head wall in unit C, and steep streamside slopes in units B, C & D. There are Chinook salmon, Coho salmon, coastal cutthroat trout and steelhead adjacent to unit B, and spotted owl nest sites within .25 mi of units B & C. More information is available on the THP Tracking Center website. THP 2-13-011 SIS (Bear Rock THP) Fruit Growers Supply Company, 278 acres; 73% shelterwood, 23% clearcut, 4% aspen & wet area restoration. Davis Gulch, Wallow Creek, Spring Creek (MD: T44N R3W Sec.7, 8, 16, 17, 19, 20). Winter operations, low erosion hazard, slopes up to 45%, impaired 303.d watershed, coho watershed, herbicides, 1 spotted owl territory within 1.3mi, bald eagle within .5mi, 2 goshawk territories within 1.3mi, scattered large trees. Estimated public comment deadline: 05/15/13. This THP is about 23 miles NE of Mt. 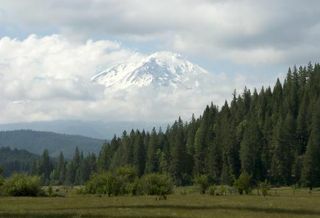 Shasta and about 1.5 miles west of Grass Lake and Highway 97. Fruit Growers Supply Company is planning a tractor, skidder and feller buncher logging operation amongst some nice high elevation (5,200 - 6,900 feet) stands of White fir, Ponderosa pine, Douglas fir, Incense cedar and Red fir. Large trees over 80 years old will be removed using the shelterwood logging prescription, and there will also be some clearcut logging and cutting of conifers around aspen groves and wet areas. 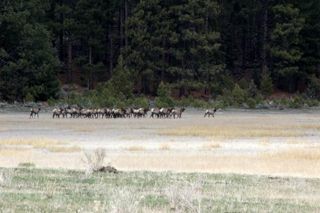 The area is rich in wildlife sightings including a bald eagle nest site within .5 mi, 2 goshawk territories within 1.3 mi, 1 spotted owl territory within 1.3 mi, American marten sightings, and Rocky Mountain Elk and Greater Sandhill Crane sightings at nearby Grass Lake. Grass Lake is also home to the rare Grass Lake Tiger Salamander. More information is available on the THP Tracking Center website. 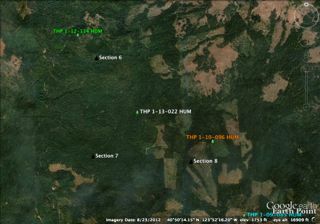 THP 1-13-023 SON (Oak THP) Gualala Redwoods; 170 acres; 85% clearcut, 7% rehab, 7% no-harvest, 1% selection logging. Little Creek, Lower Rock Pile Creek (MD: T11N R14W, Sec 29,32,33,34). Wet weather operations, high erosion hazard, steep slopes up to 65%, landslide terrain, road failure sites, 14 road drainage work sites, impaired 303.d watershed, coho watershed, 3 oversized units, herbicides, 8 spotted owls within 1.3mi, trees 85 to 105 years old. Estimated public comment deadline: 05/11/13. This THP is about 5 miles east of the town of Gualala which sits at the junction of Highway 1 and the Gualala River near the Pacific Ocean on the Sonoma coastline. 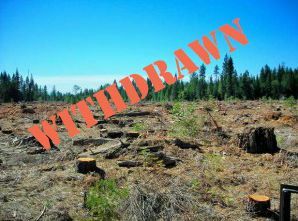 Gualala Redwoods is planning a tractor and cable logging THP which is mostly clearcut logging of 170 acres of redwood and Douglas fir in the Rock Pile Creek Watershed, a tributary of the Gualala River. The Gualala River is listed for temperature and sediment, and is an important Coho salmon and steelhead fishery. The area contains steep slopes with a high erosion hazard rating, some unstable slopes mostly related to stream banks, and 14 road drainage work sites including dip construction, rocking and culvert repair/replacement. 12 acres of rehab logging is planned to clear tan oaks and re-plant with conifers. More information is available on the THP Tracking Center website.